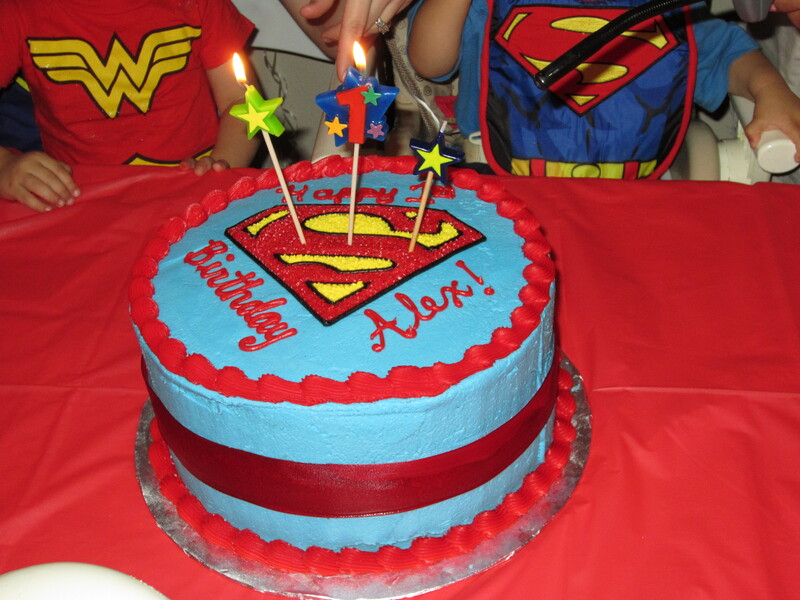 We had our twin’s first birthday themed as a Super Hero bash! They survived a rough year with the NICU and surgeries, and so they are my little superheroes. Here are some pics from the event!! 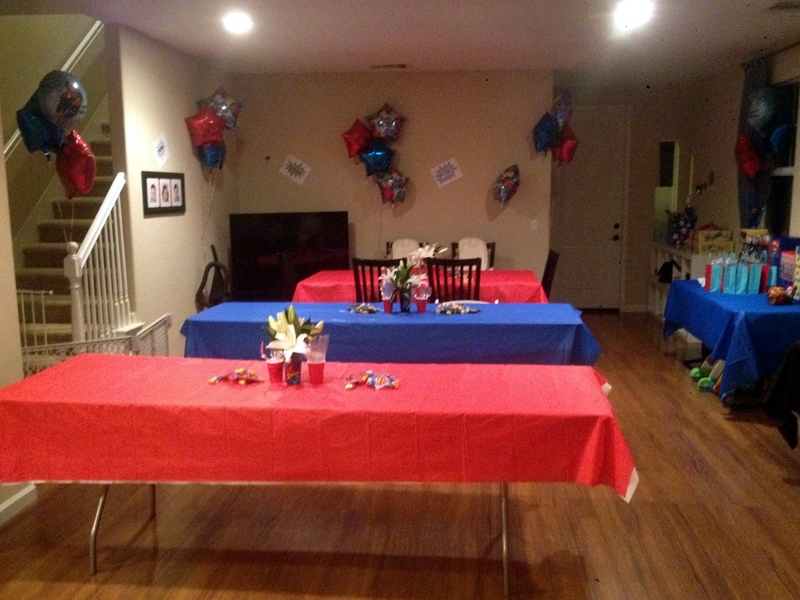 A family friend helped with the decor and she did an AMAZING job. 1. 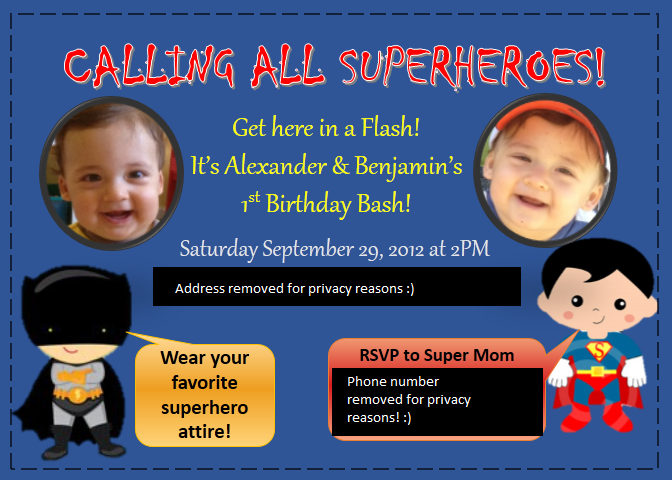 Invitations: I designed them myself in PowerPoint. I always use PPT because.. well, I work for the team and I love the product (and know it well). 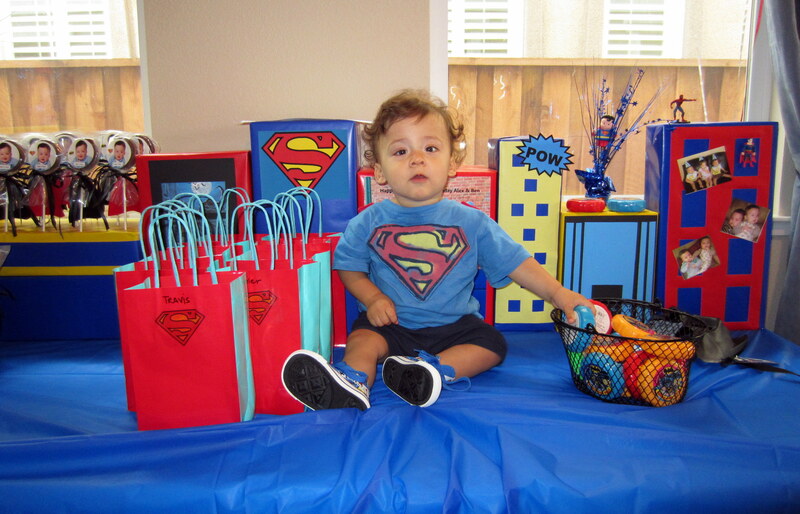 In the above pics you can see the favors/goodie bags as well. I found some red bags on clearance at Target and printed some stickers to put on them to fit the theme. 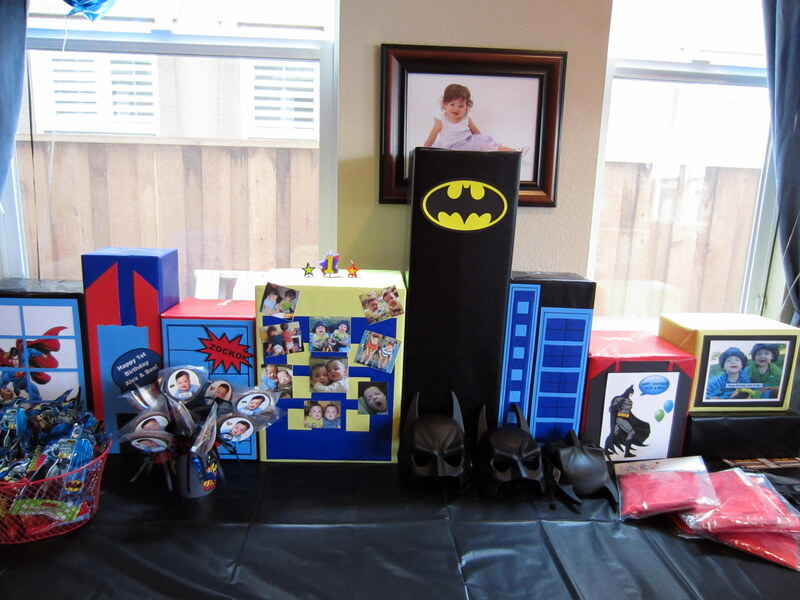 Also, we collected other super hero items – candy, masks and capes. We put them on the table for the kids to have fun with! 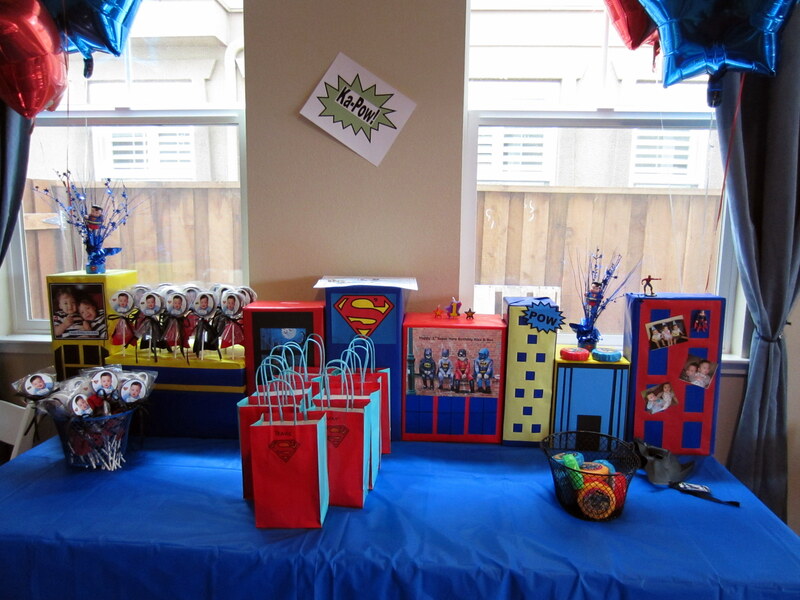 Last, but certainly not least, you can see chocolate lollipops with pictures of the boys and little tiny capes attached. So fun! Here are my big boys in their t-shirts! I found these at Baby Gap on sale. 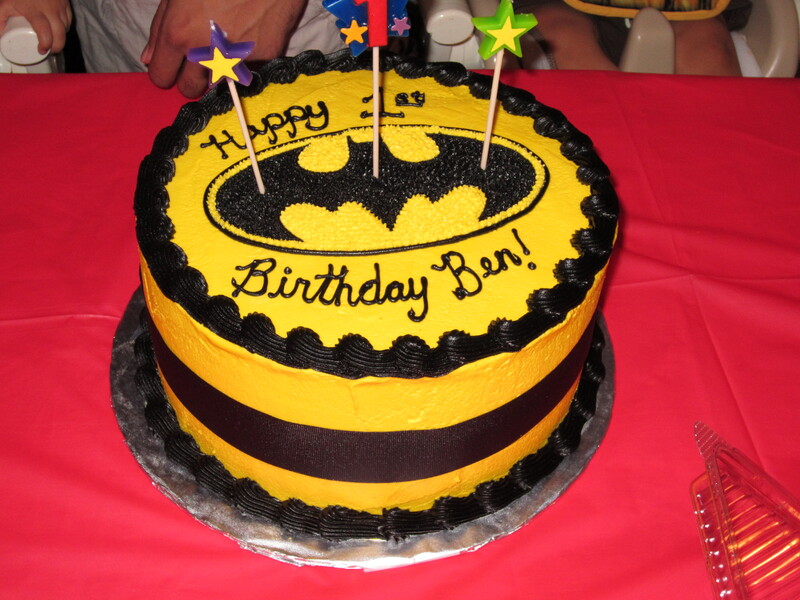 They even had capes velcroed on the back. Score! 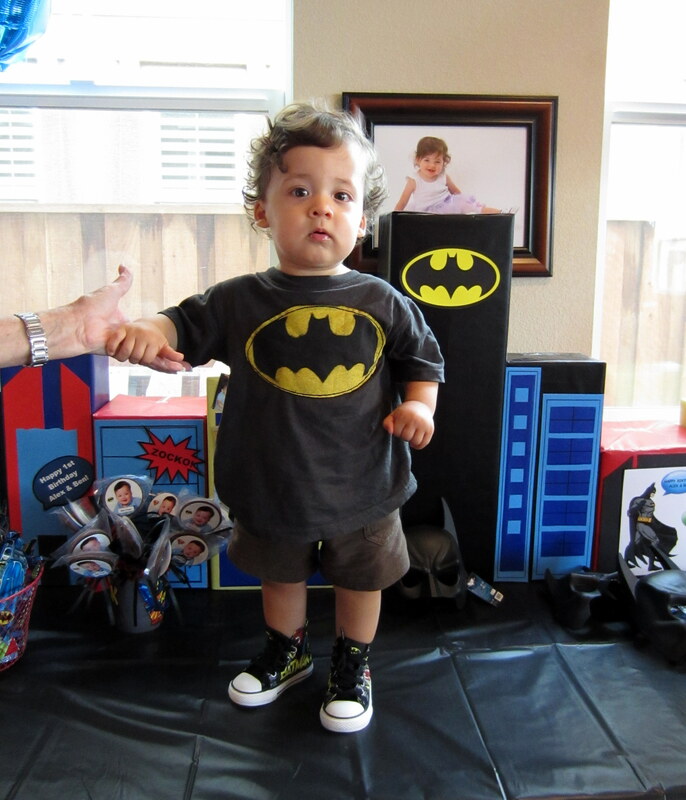 Also, I splurged on the baby converse which I found in both Batman & Superman. Just too cute to resist. 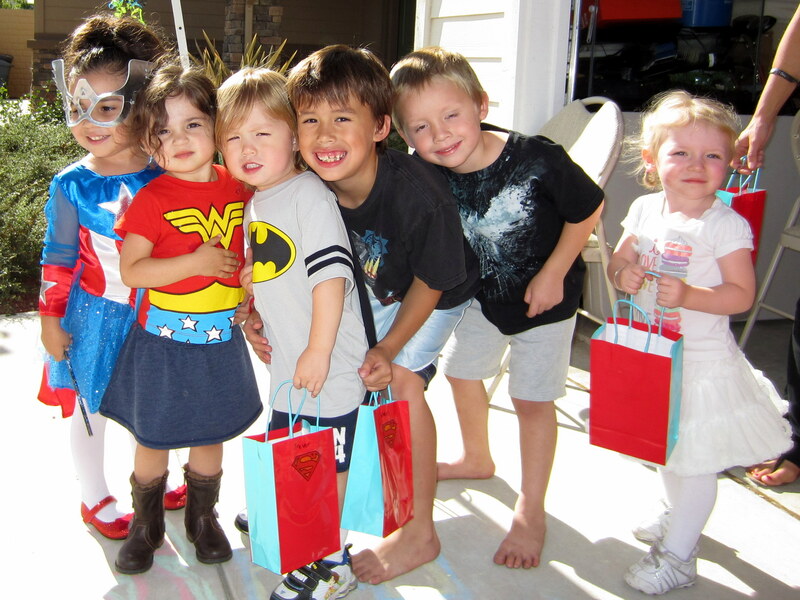 Somehow I don’t have any pictures of this, but I set up a “Super Hero Obstacle Course” outside. I wrapped boxes and made a “rock wall,” put out jump ropes and hula hoops as well as a basketball hoop. I also created a “knock down the villian” game. 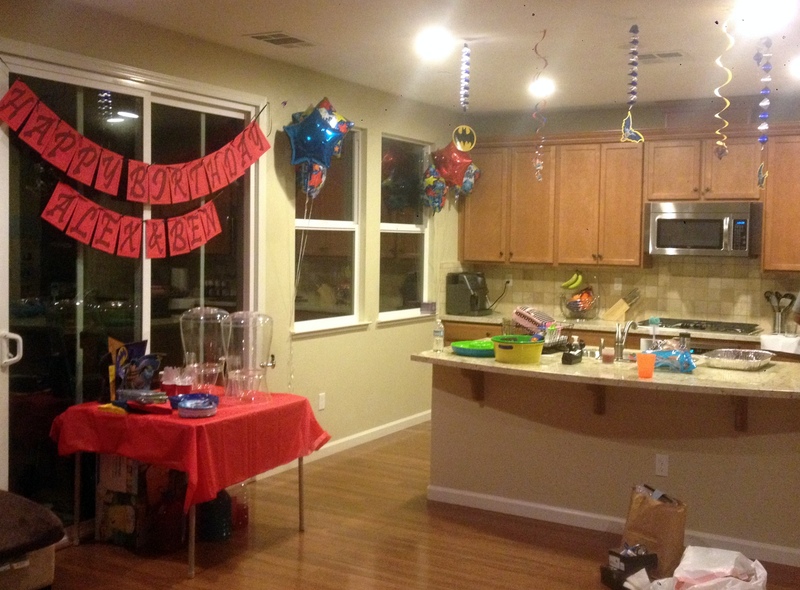 All I used was cups from the 99c store, print outs of villians, socks and beans. Take the printed pictures and tape them to the cups. Fill the socks with beans and tie them off.. turn the cups upside down, stack and them and Voila! Bean bag toss. For our main dish we did BBQ Oven Brisket. It was super easy even though it takes a while to cook in the oven. We had 11 lbs for about 35 people and it has to cook for an hour each lb. This is when I wish I had a double oven… Here is the recipe: http://allrecipes.com/Recipe/Oven-Barbecued-Beef-Brisket-I/ It was a big hit!!! We paired it with a few salads & some garlic bread. Melissa, the creator of supermama3.wordpress.com, leads a double life as a full time software engineer and a full time Mommy of 3. She has a 2 year old daughter and 1 year old identical twin boys. She is passionate about music, dance, traveling & people. 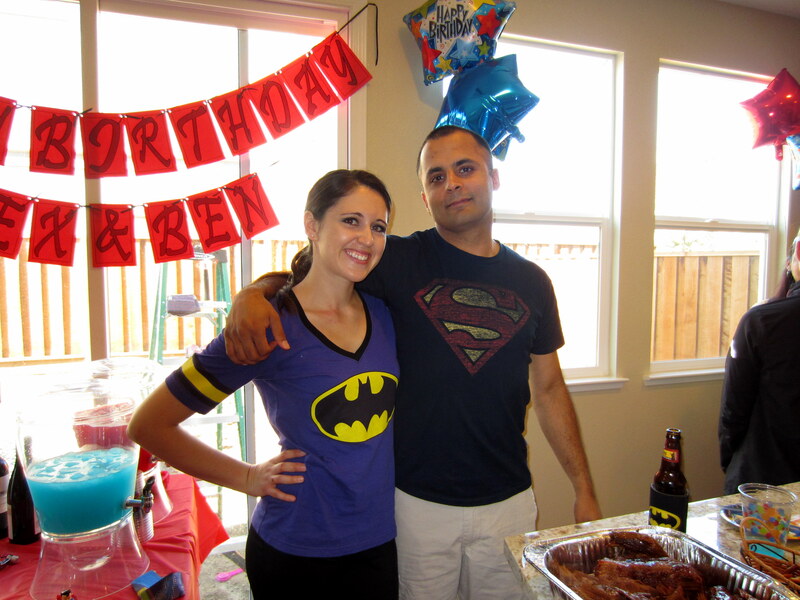 Her fiance is a civil engineer and a superdad! With three children under three, life gets pretty crazy. However, they feel so lucky to have a healthy, beautiful family and make sure to enjoy all of the little things in life.